The PEANUTS Café in Nakameguro and PEANUTS Diner in Yokohama are holding an event titled YOUR SWEETIE IS BACK! “SCHROEDER & LUCY DAYS” from January 16 to March 14. Schroeder is a character and budding musician in the comic Peanuts who is often seen playing his piano and who is known for loving Beethoven. He leads quiet life but is always on the receiving end of Lucy’s antics as she tries to win over his attention out of her love for him. She is always beside him. This event is theme entirely on the lovebirds’ relationship with plenty of inspired food, drinks, merchandise and more. 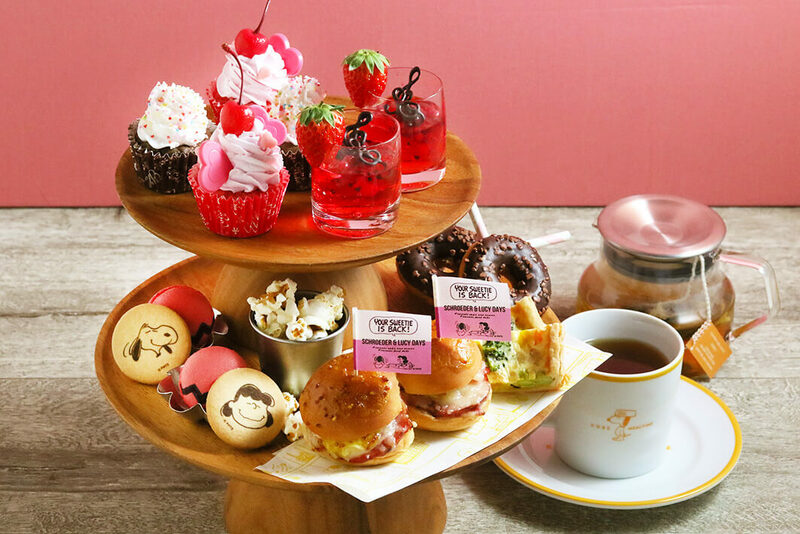 Inspired by when Lucy celebrates Beethoven’s birthday with Schroeder by bringing him a cupcake, this set includes that same cupcake as well as strawberry jelly, a doughnut, macarons and more – even a ham and cheese slider. The set can be ordered for 2+ people. This cozy beverage is inspired by Schroeder’s piano playing. 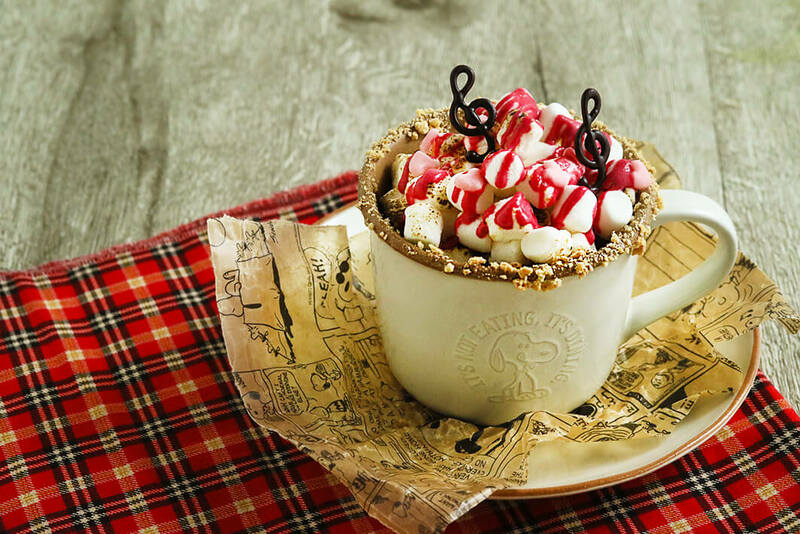 The mug contains milk cheese flavoured hot milk which is topped with marshmallows, raspberry sauce and chocolate music notes. Can you hear Schroeder playing? 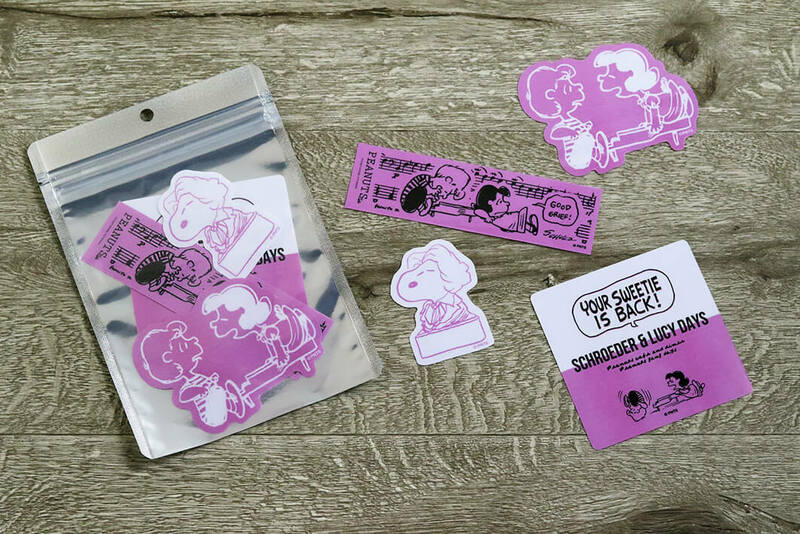 A whole range of original merchandise themed on the words “Your Sweetie Is Back” is also up for grabs including 4 cute stickers. Designs include a 2-shot of Lucy and Schroeder, Snoopy dressed as Beethoven and more. 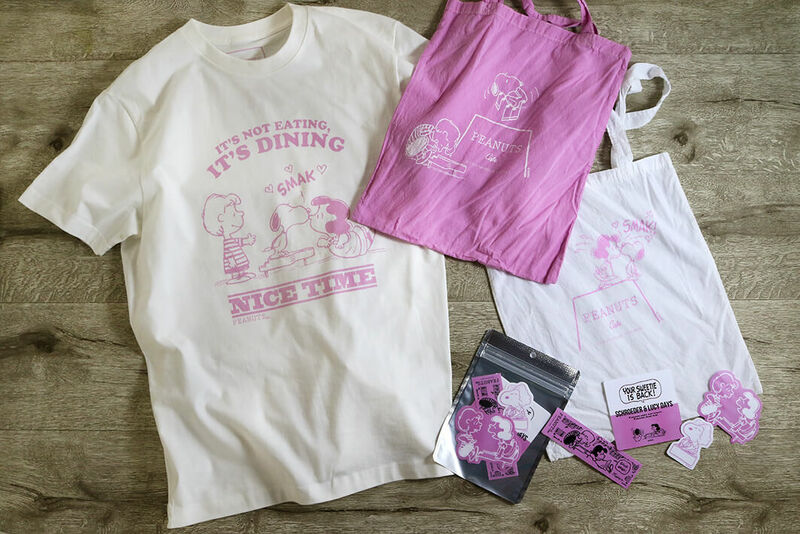 The merchandise can be purchased at both the café and diner as well as the PEANUTS Café online shop. 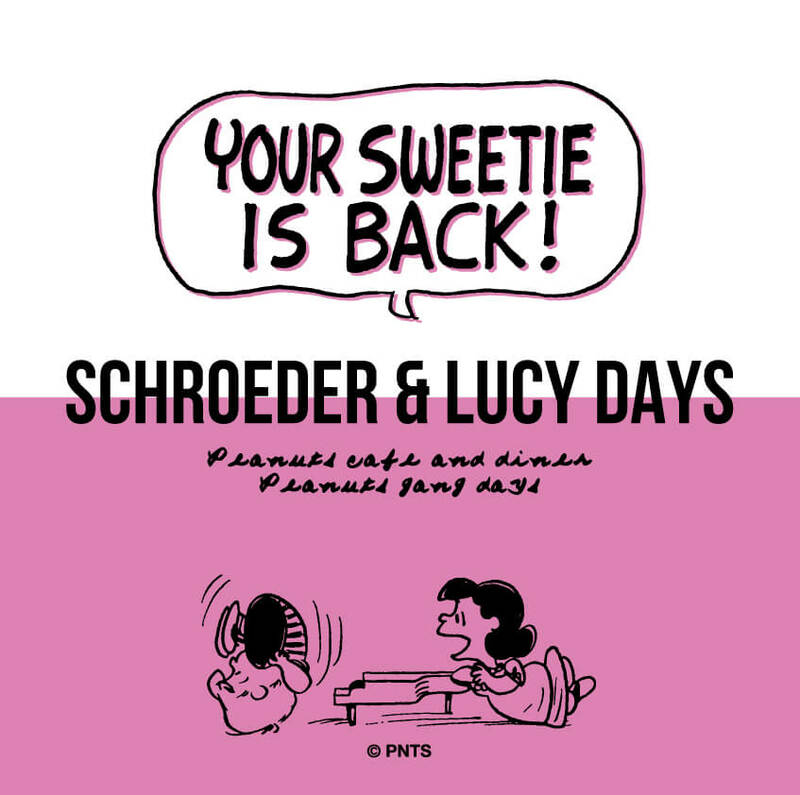 Immerse yourself in the world of Lucy and Schroeder for this special event.